When the amazing and lovely Laura from Nintendo got in touch a few weeks ago asking if I'd be interested in trialing and reviewing a new game for the Nintendo 3DS, I was absolutely over the moon. I used to play on my Nintendo DS 24/7 (before I sold it to pay for my Reading ticket... boo) and couldn't wait to rekindle my love for all things Nintendo. New Style Boutique puts you in charge of your very own boutique; you handle everything from serving customers and selecting stock, to interior decoration and dressing the window display. As your reputation as store manager grows and your boutique moves from strength to strength, you are able to introduce new brands, expand to menswear, and even take part in styling competitions as well as open a web shop where you can interact with fellow boutique managers from all over the world. 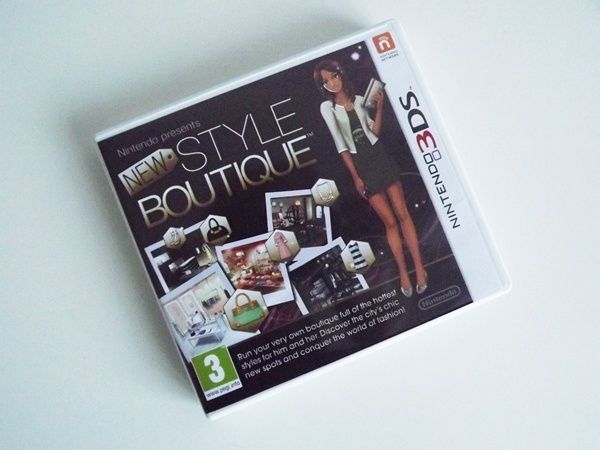 I must be honest - despite my willingness to give the game a go, my initial expectations weren't too high due to previous experiences I've had with fashion-related video games (anyone remember 'Imagine...Fashion Designer'?). 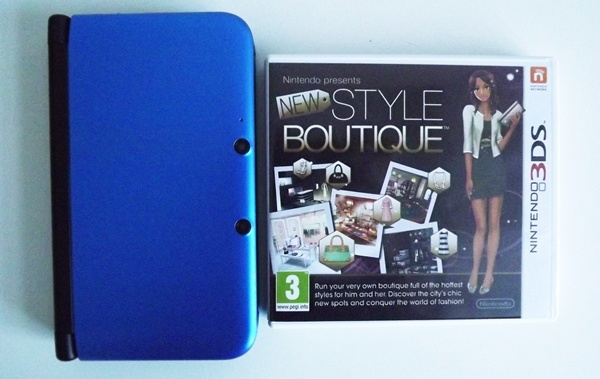 However I can now confess that in spite of myself, I did get well and truly hooked on New Style Boutique. It was a little bit of a slow starter (boy do the characters love to talk), but once you get into it, you REALLY get into it. It was fun meeting customer's demands (even if the pieces they wanted you to pick out for them were totally hideous), and I was so chuffed when I progressed far enough to unlock the hair salon and worked out how to get dip-dyed hair for my avatar - she actually started to look scarily like me (yeah I know I'm sad). The graphics were good and there was a great selection of items to dress your avatar and your customers in (over 12,000 according to the box!). I'm not sure how realistic the game is to running a real life boutique, but it's certainly a very entertaining (and probably significantly more relaxing) way of getting a taster for it! You get to dabble in styling, visual merchandising, buying, customer service.. you name it, you'll do it in New Style Boutique ladies. Now can you see why I loved it so much? All in all, I would say that this is a fun, light-hearted way to spend time and play at being a stylist/boutique manager, no matter what your age (I've certainly proved that it can be fun and addictive however old you are)! Having said that, I reckon New Style Boutique would be particularly popular with slightly younger girls, and would therefore make a fab stocking filler/Christmas gift for any little ladies who love a bit of fashion. It's totally inoffensive and such a great way to wile away the hours - I played it mostly in front of the telly! Will any of you be channeling your inner child and trying out New Style Boutique? Will you be purchasing it for any little relatives this Christmas? Sounds like a lovely present to give to someone for christmas! Haha, would be nice to channel my inner fashion stylist!